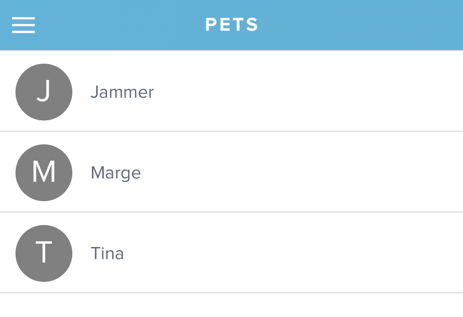 To start, make sure you have the most up to date version of the Scout for Pet Owners App (1.7.0+). Use the menu in the upper left hand corner and navigate to the pets section of the app. Select a pet from the list or add a new pet. Tap the "+" button at the top of the pet profile. 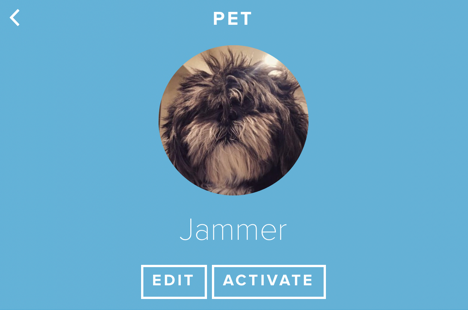 Choose a method for uploading your pet profile. 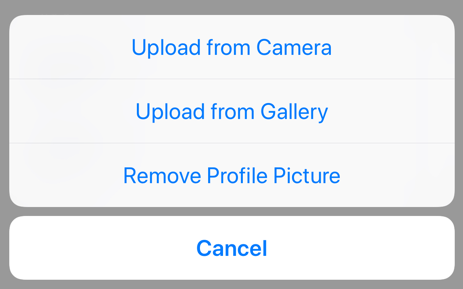 You can take a photo using the camera or upload an existing photo from your phone's photo gallery. Select the photo you would like to use as a profile picture. Zoom and or move the image to fit within the guidelines. Note: Your pet sitter will have access to the full frame photo. 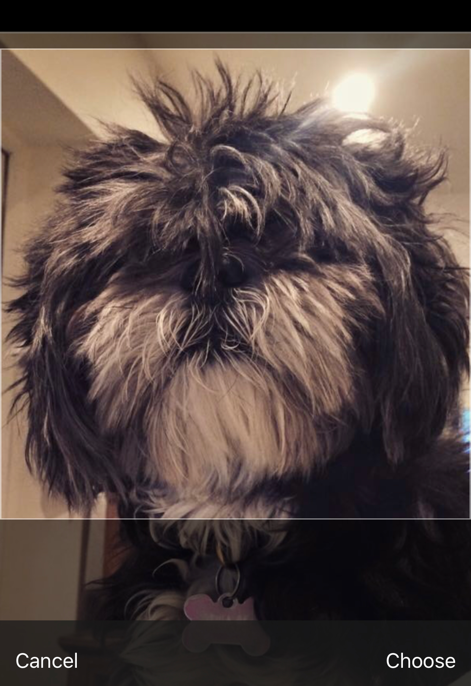 Select "choose" to set your pet's profile photo.